It is important that European road users are presented with consistent traffic control techniques, regardless of where they travel within Europe. Speed management of traffic through work zones is important for the safety of both the road user and road worker. A work zone will entail deviations from normal travel in a discrete road section and appropriate speed is needed to ensure that the driver can navigate the vehicle through the work zone routing, particularly if there are abrupt lateral deviations from road design norms. Without proper control of the vehicle, the driver may cause the vehicle to enter the restricted areas of the work zone. Infringement into these areas can cause injury to the car passengers or the road worker. Thus selection and control of traffic speeds in work zones are crucial components for road safety. A resource for best practice guidelines and financial implications of work zone speed control is not available in Europe. A common information source should be made available if European road users and road workers are to have the best level of safety, regardless of the country or region. The ASAP project - Appropriate Speed saves All People - was designed to address the issues of speed management in work zones. 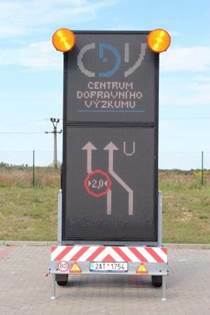 The project runs from February 2013 to January 2015 with funding from the CEDR TRANSNATIONAL ROAD RESEARCH PROGRAMME Call 2012 - Safety: Safety of road workers and interaction with road users. with the aim of reducing risks to road workers without significantly increasing risks to road users.